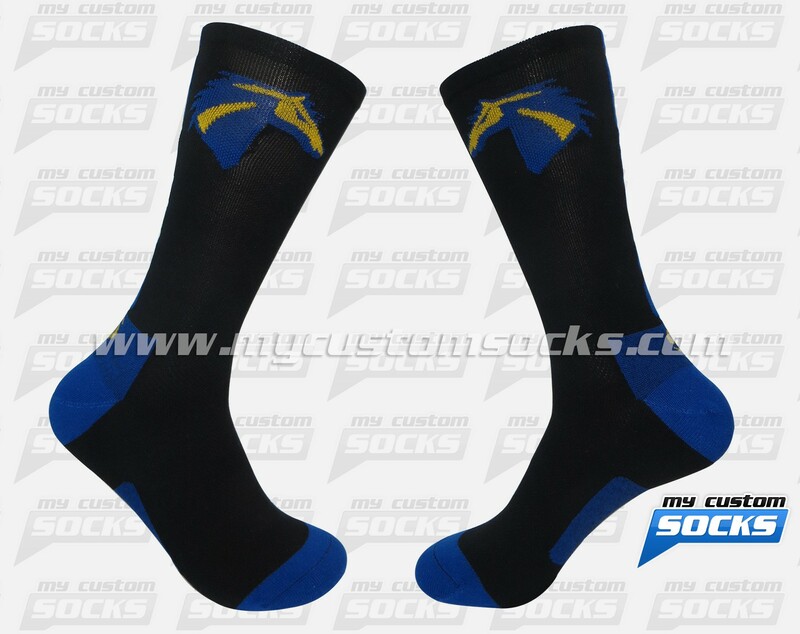 Team Custom Socks was proud to work with Heritage Middle School in Colleyville,Texas. 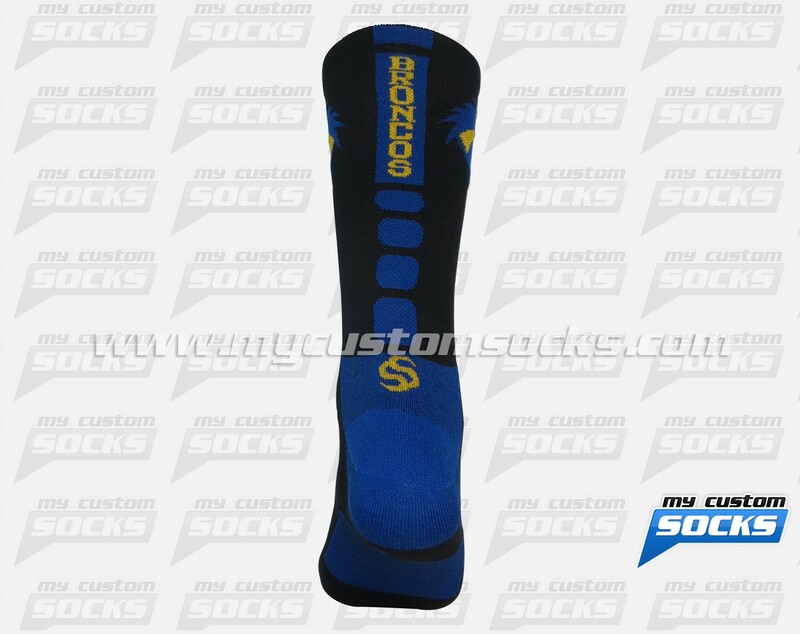 They were looking for an easy fundraiser to benefit their Athletic department, and thought that customs socks with be perfect for that. 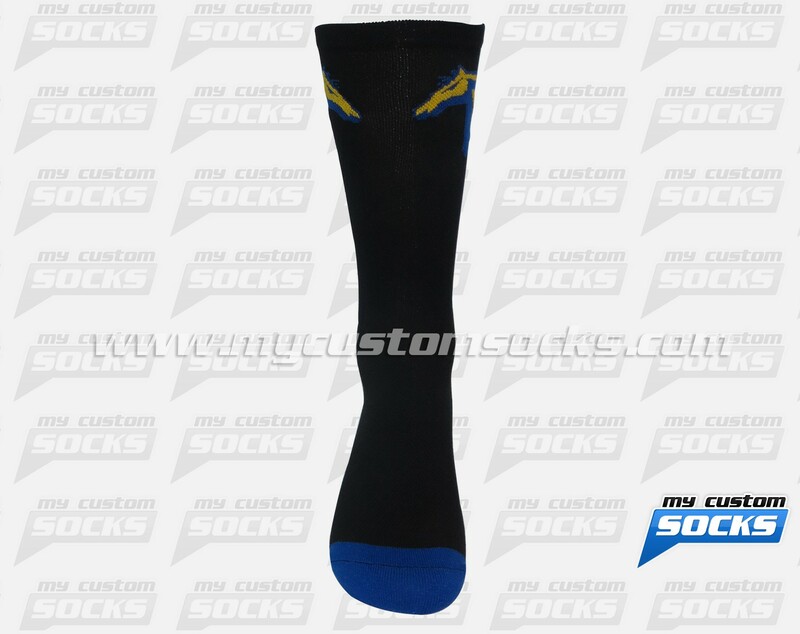 They wanted an elite style sock. 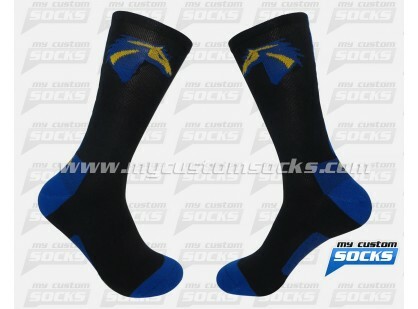 Using their colors and logo our team came up with the perfect 7 inch sock for them. 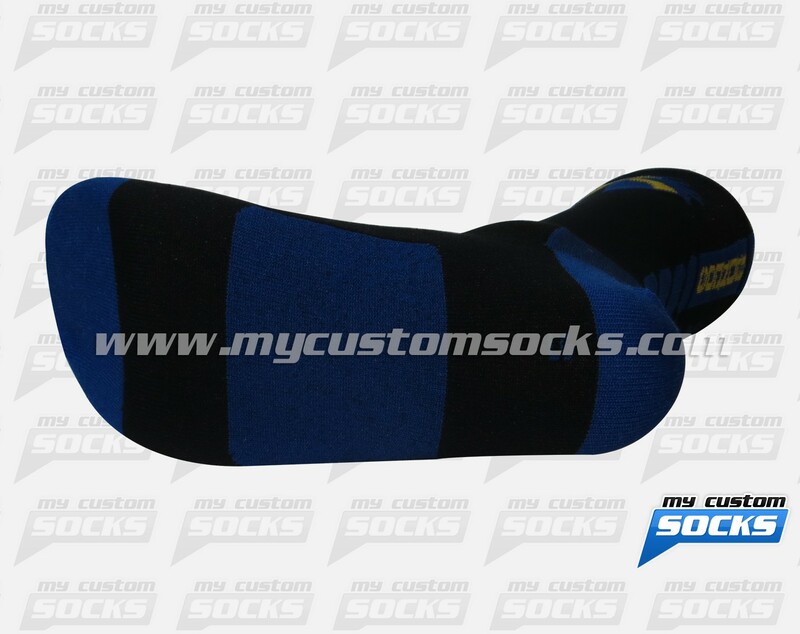 Top of the line fabric was used in the production of these socks for added comfort and durability. 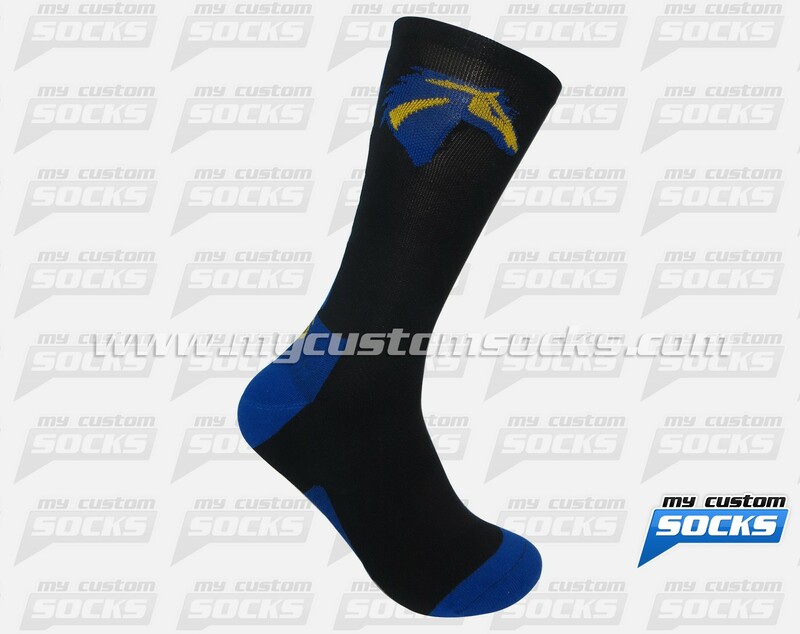 Their customs socks were a hit at the fundraiser.